Our last two months issues have been published. 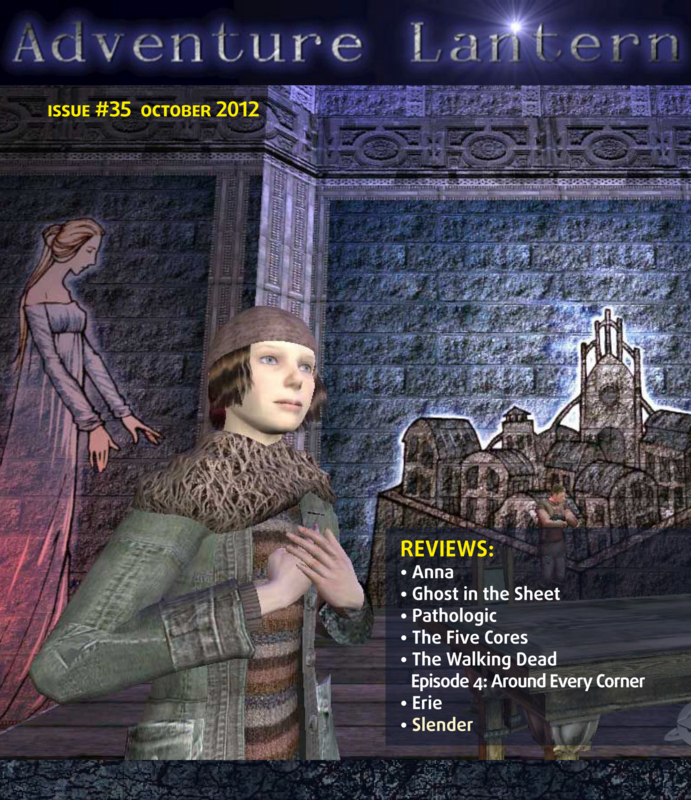 Now available is our September issue with my article on Myst's backstory and our Halloween issue featuring many great and mediocre horror games. 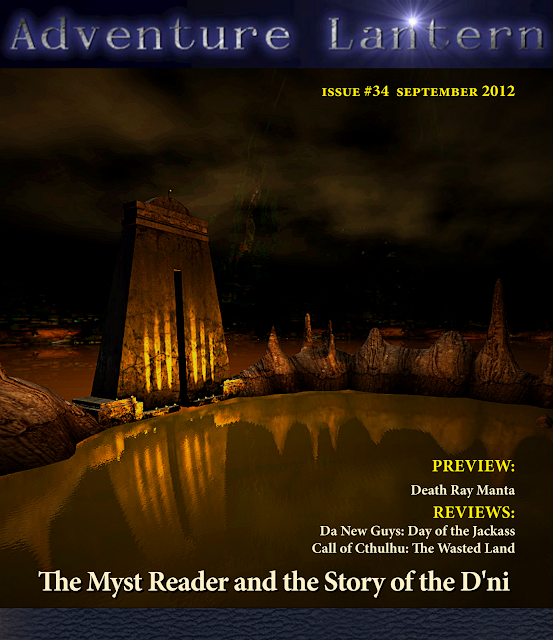 Both are available from our homepage, on Adventure Lantern. 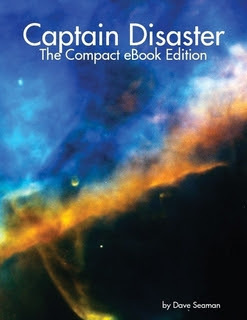 May's issue of Adventure Lantern has just been published along site an exclusive interview with the people behind the Tex Murphy sequel. 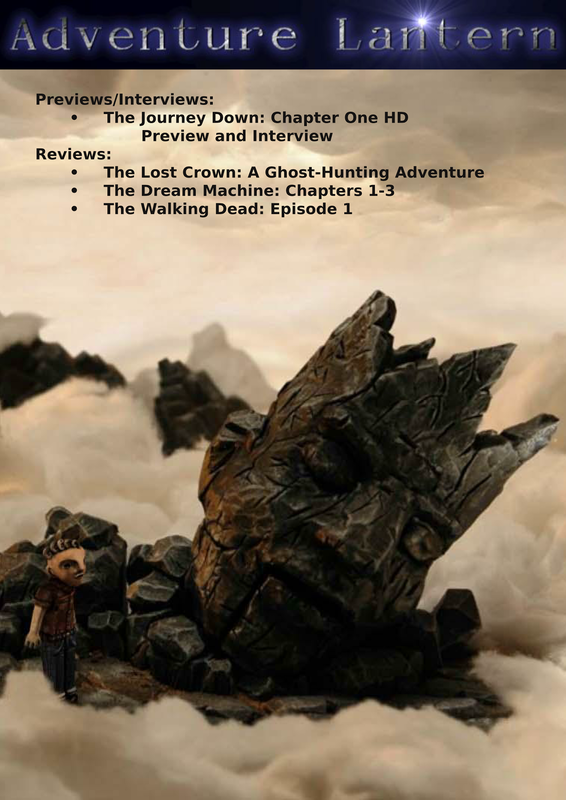 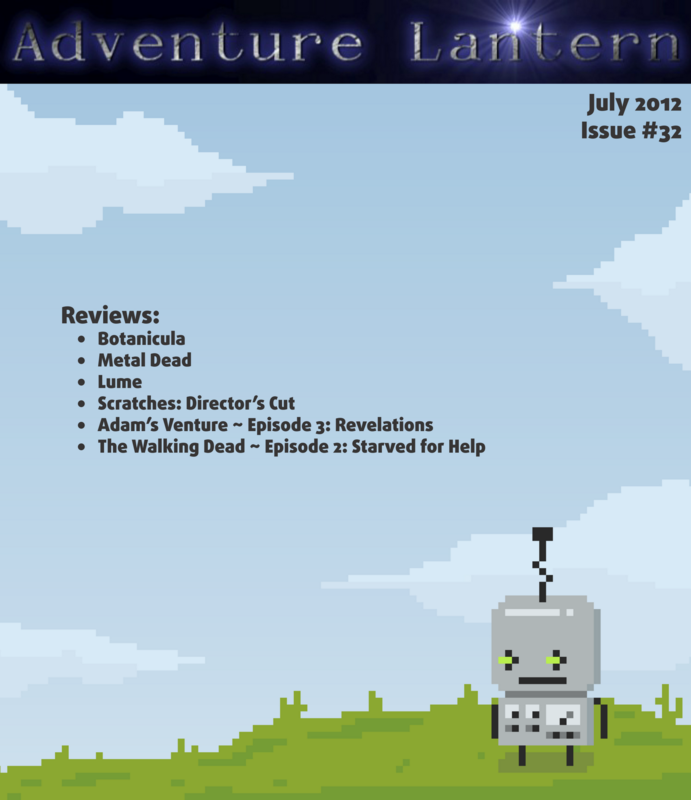 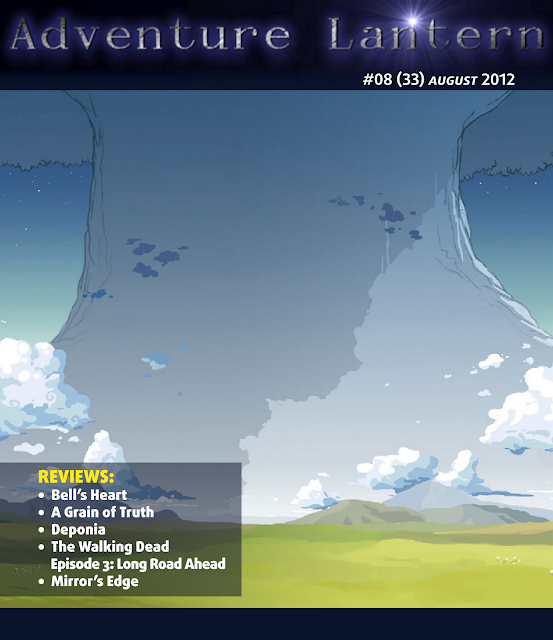 This issue contains a preview and interview on The Journey Down HD and reviews of The Lost Crown, The Dream Machine, and the Walking Dead TellTale adventure.